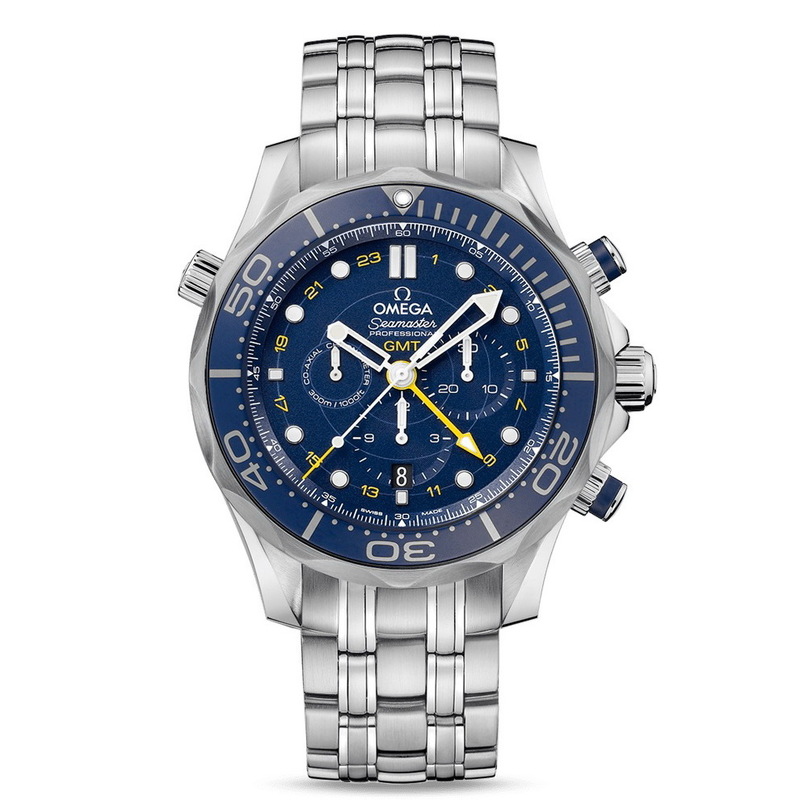 What we have today is a collection of 6 Seamaster Diver 300M Co-Axial GMT Chronographs; four 44mm variants and a further two in 41.5mm. 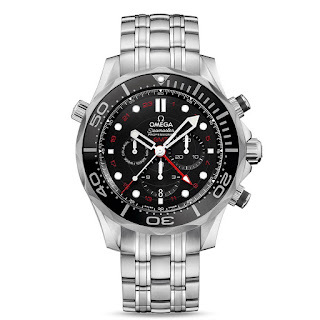 With the recent Diver 300M OVERHAUL that has just taken place, I thought we might take a quick shufty at the Chronograph lineup. 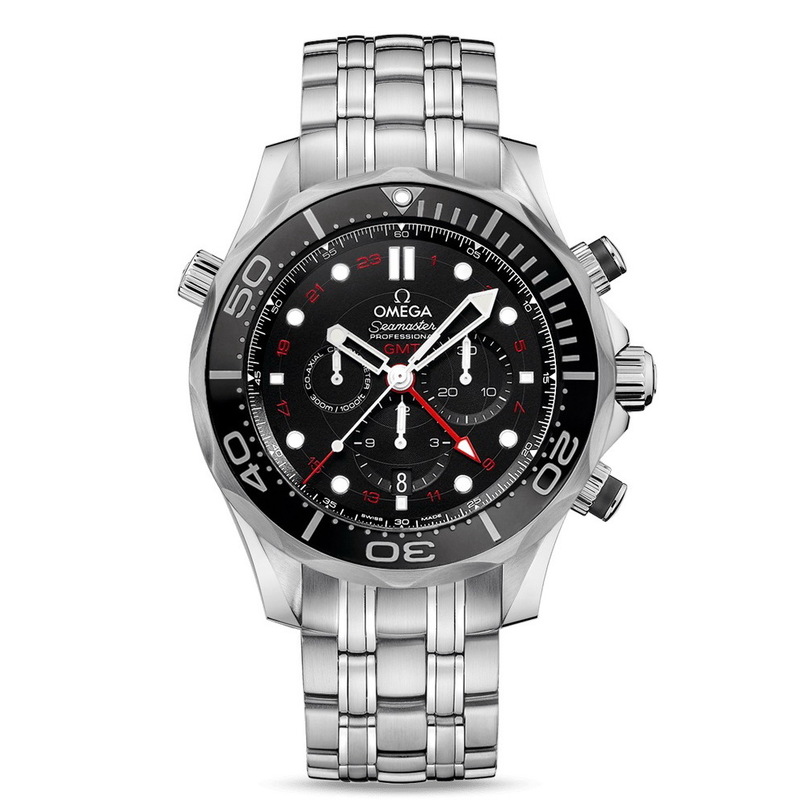 For reference the Diver 300M Co-Axial family also includes 3-hand models in either 41mm or 36.25mm plus a couple 28mm Quartz tiddlers. 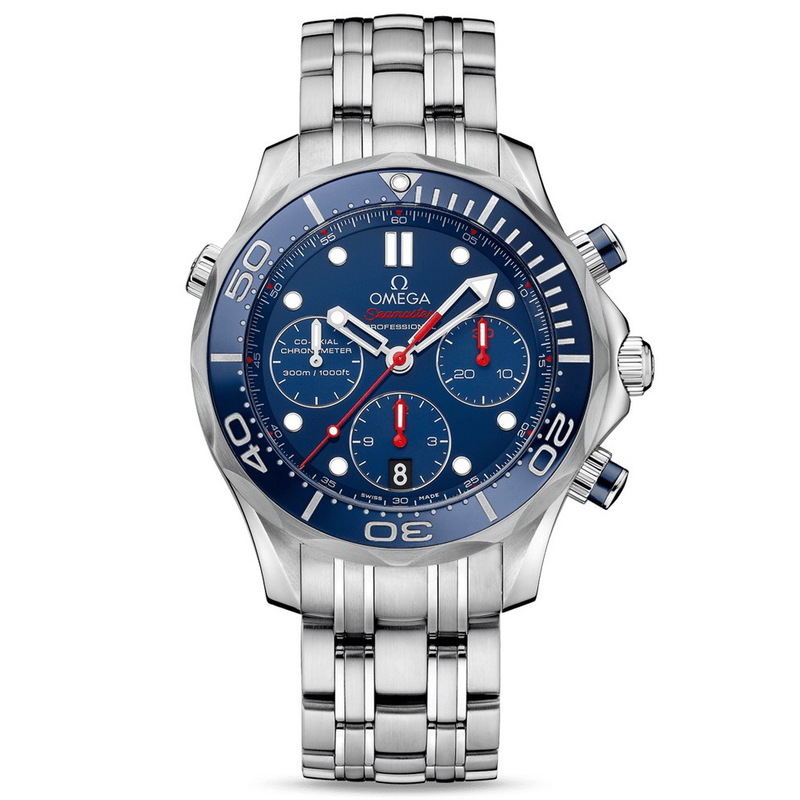 The Seamaster Diver 300M Chronograph comes with a lacquered blue or black dial, featuring white skeletonized central hour and minute hands and a red central chronograph hand as well as red hands on the 30-minute recorder at 3 o’clock and 12-hour recorder at 6 o’clock. 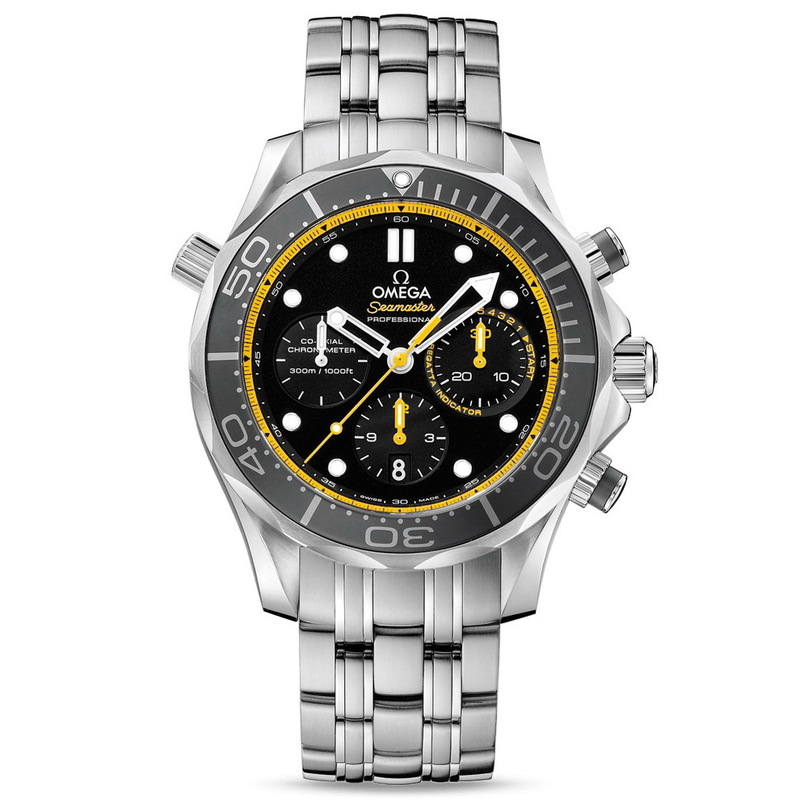 It is powered by Omega’s Co-Axial caliber 3330. 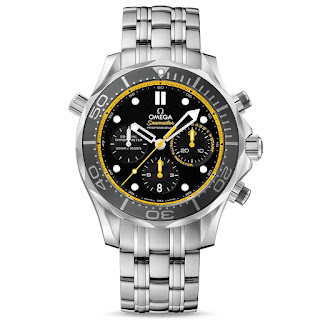 The Co-Axial caliber 3603 equips Diver 300M GMT Chronographs which are available in with matt black or blue dials with a red or yellow central GMT hand which is complemented by a red or yellow GMT scale and a red or yellow-tipped central chronograph hand. What are your thoughts on these? I must say I find them a handsome looking bunch. They have that trendy 90s throwback style but with their ceramic bezels et al, they are as current as anything else.